I am a big fan of liquid bases as I mentioned in my last foundation post, tending to use them more than any other type. After discovering the organic beauty range Vapour in late 2011, their Atmosphere Soft Focus foundation has been a welcome addition to my pro kit and become my own foundation of choice in recent months too. Soft Focus is free from silicone, an ingredient often used in foundations to provide slip, making them easier to blend and apply. If you are used to non-natural bases, then the idea of using a product without this slippery sucker to assist you can seem daunting and potentially troublesome, but before you are sent running for the hills, let me assure you, all is not lost. This is a lovely liquid foundation that is incredibly easy to apply, gliding effortlessly over the skin both with brushes and fingers. The coverage is, I would say, on the medium to heavy end of the foundation spectrum; disguising fine lines, balancing uneven skin tones and covering areas of higher colour and minor blemishes with ease. A couple of pumps of the bottle is generally enough to cover the face and the result is a radiant, flawless, satin finish with wonderful light reflective qualities. Gentle on the skin, the lightweight foundation contains nourishing ingredients which leave the skin feeling beautifully hydrated. The Vapour website recommends Soft Focus for all but the driest of skins, however I have found that applying a good moisturiser before application helps prevent much of the patching that occurs with drier skins. One of the best things for me about this base, is the tonal range of the collection. One of the few natural ranges that consider darker skins, there are eleven shades with a mixture of red, yellow and neutral undertones, making the foundation suitable for a wide range of skin tones. Vapour Soft Focus is my favourite liquid base to this day. I love it! Applied evenly, it looks great on camera and in stills shots. It gives a beautiful flawless finish and blends beautifully – despite the lack of silicone; an ingredient which most modern, conventional foundations base themselves on. Not just received for the likes of those who are the focus of photoshoots, it makes for a great every day base for us mere mortals too. 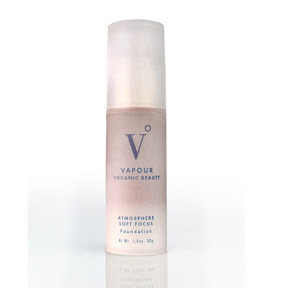 Have you tried Vapour Beauty Soft Focus Foundation yet? I love this foundation and have recommended it to so many people however, before you get carried away, a word of caution; this foundation is a little on the steep side at around £43.00 (admittedly still cheaper than a Tom Ford one!). If you don’t fancy such an outlay or are unsure of which shade you require, I would suggest purchasing a sample size product which contain approximately three applications. 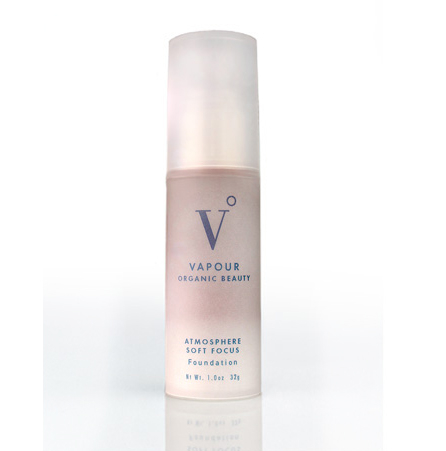 Samples are available either directly from Vapour themselves or from Naturisimo (priced at £1.50).